Anna Romskog is a senior history major at Augsburg College and an intern with the Historyapolis Project. It’s Election Day! Today, voters in Minneapolis will be going to the polls to decide on several statewide offices and a highly contentious race for the school board. Sixty years ago, it was the police department­–rather than the school board–that was at the center of public policy debates in the city. Police raids like this one—shown in a newspaper photo from 1940—were common. But they took place only when city officials failed to receive the payoffs they demanded from the operators of downtown gambling parlors. Humphrey made vice and crime central to his campaign. And when he was elected mayor in 1945, he knew that he would need a strong police chief if he was going to carry out his promise to clean up the city. Ed Ryan had caught the eye of the ambitious Humphrey well before he became mayor. 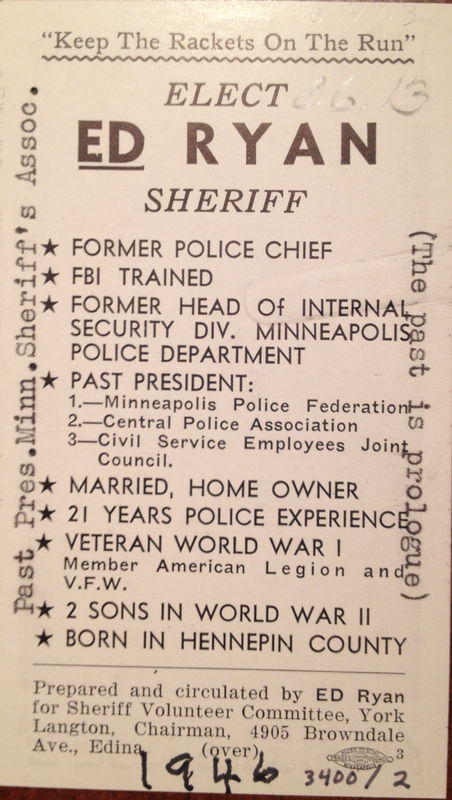 Ryan wasn’t very popular in many quarters; he was head of the Internal Security Division of the Minneapolis Police Department and he’d been trained at the FBI to help keep tabs on communist movements and possible spies. Humphrey nominated him for the chief job, despite the strong opposition of organized labor. Ryan was elected in a landslide and remained in that office for the next 20 years. The Ryan campaign flyer is from the Hennepin History Museum. 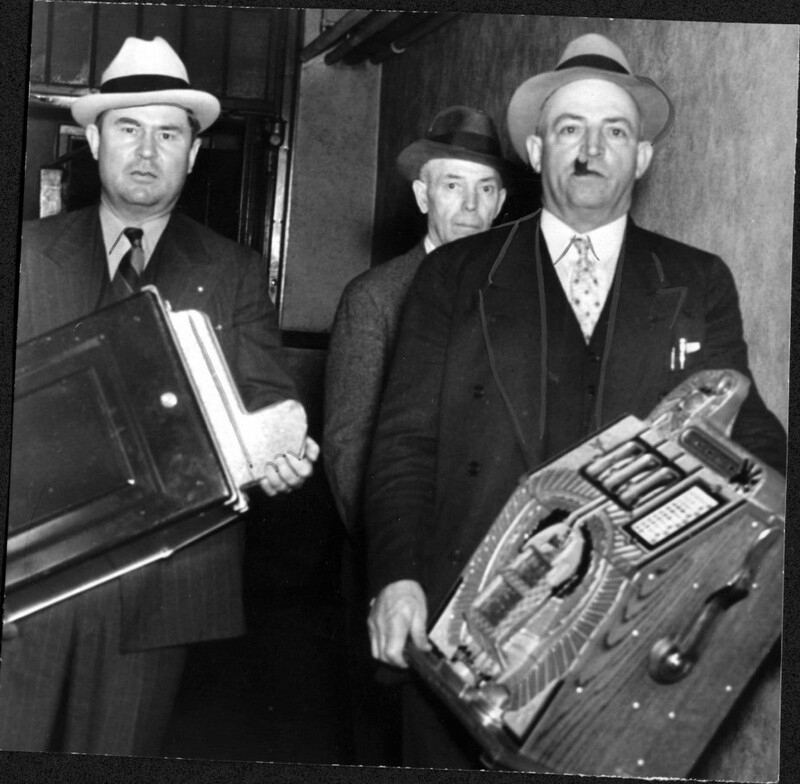 The photo of the gambling raid is from the newspaper morgue file at the Special Collections at the Hennepin County Library and was digitized by citizen-researcher Rita Yeada. Information for this post is from Humphrey H. Humphrey’s autobiography, The Education of a Public Man: My Life and Politics. Other sources include interviews conducted with Ed Ryan and Bill Simms as part of the 1978 Hubert Humphrey Oral History Project, which is part of the larger collections of the Minnesota Historical Society. This entry was posted in Stories and tagged Ed Ryan, Hubert Humphrey, politics and government. ← Map Monday: Farewell to the Patrol Limits?